Lahore, Punjab Public Service CommissionLahore has conducted written test and interviews of the candidates for the appointment of Sub Inspector Cooperative Societies in the Cooperatives department Vehari. PPSC carried out written test and interviews of the eligible candidates. 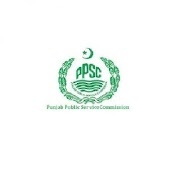 PPSC SI Cooperative Societies merit list 2019 has been issued online for information of the candidates as they are asked to watch the names, father name, domicile, status and other information online. The details of PPSC SICS Merit List 2019 for Vehari district has been issued online with the relevant updates.